That's different! Maybe a bit TOO different for me. Ciao Pietro, ma davvero esistono case così "multicolor"??? Intanto ti abbraccio e ti auguro un buon lunedì! Ma che belle tutte colorate.... danno l'idea della primavera.. ma sono palazzi ubicati nella città di Torino o in qualche paese limitrofo??? Un abbraccio Pietro e buon inizio di questa nuova settimana! i wonder if they did that intentionally or not. just beautiful! ..che colori:-) Un saluto Pietro, da Torino, con sole..e ti par poco? Now that is a colorful building! Amazing! I've never seen one quite like that! Terrific captures as always, Pietro! Hope you have a lovely week! Amazing photos as always, Pietro! 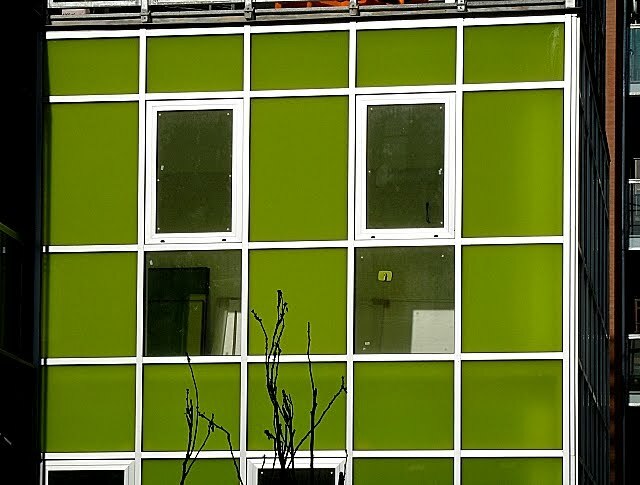 Looks like a Mondrian paintings, isn't? Beautiful home. So many colors all in one place. 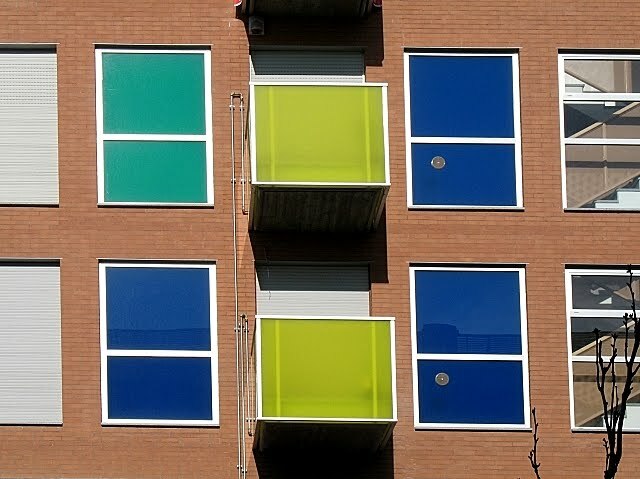 i love colorful - anything colorful - and windows so this is a big likey for me. Pietro, different and I like different. 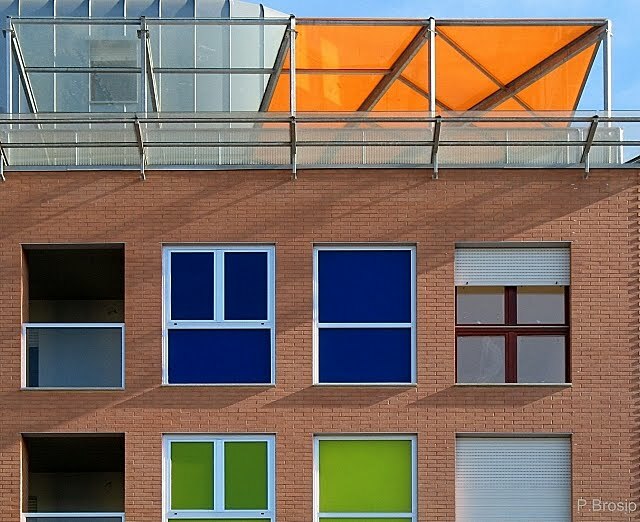 You must be pleased with all these colourful windows. 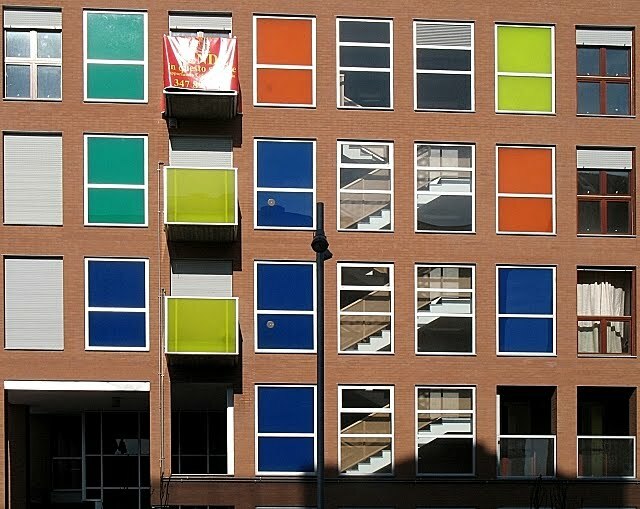 I think the building would look very drab and utilitarian without these colourful windows. I love these intense colors. These are fabulous photos. Even though there are so many colors, they all fit together -great capture, Pietro! Haven't visited for a while -how are things going for you? Enjoy your weekend! Un saluto per augurarti un buon week-end "multicolour" Pietro!!! Ciao Pietro, ti auguro un buon fine settimana, all'insegna dei colori che esprimi, su tela e come immagini:-) Un cordiale saluto. Blogtrotter Two is showing Saint Paul de Vence! Enjoy and have a great Sunday and week ahead!! we don't have such a colorful house in Japan.